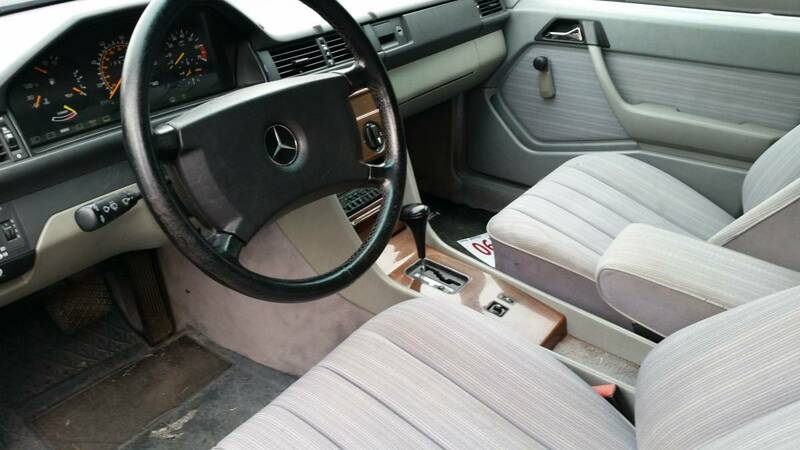 by Cory -- Outside of the US, the Mercedes W124 series came in many less luxurious variants like this 1987 Euro 230E. Similar to the Nissan Tsuru in Mexico, these cars were used as taxis for years all over Europe. 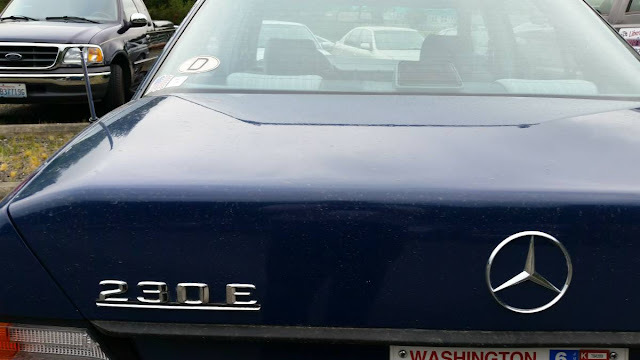 The car is offered for sale by the local Lions Club. The seller bought the car new in Germany and imported it here after his military stint was finished. 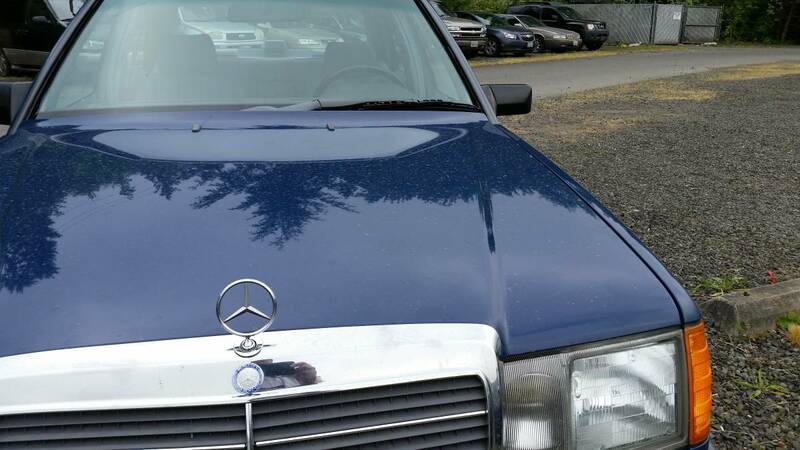 Find this 1987 Mercedes-Benz 230E offered for $4,900 in Poulsbo, WA via craigslist. This low spec car eschews luxury for utter simplicity- crank windows, cloth seats, manual climate controls, and no AC. The unusual shade of deep blue stands out amongst the typical white, black, and beige exterior colors typically found on these models. Period BBS-like wheels set this very clean car apart. The car is powered by a 2.3 4-cyl 8 valve M102 engine that powered many USA spec 190Es so parts availability is not an issue. Unburdened by the extra weight of luxury features, these Euro spec cars drive much livelier and nimbler than one would expect. It would be very easy to use the Mercedes parts catalog from higher spec models to improve the braking and suspension setup if one was so inclined. This era of Mercedes are still relatively easy to find at wrecking yards partially due to the later models biodegradable wiring. Interesting car especially since it has only 90XXX miles! I have to wonder why an EU model would have a mileage speedo? Try selling it later without A/C in North America. Although parts may be plentiful, just don't expect them to be affordable from MB. they want $100 Can at the local dealer for 2 washer jets on the hood. I do love those BBS mesh wheels. These look just like the set I had on a VW.